Dave Russo: Definitely a Motor Parkway concrete post at the base. I have no ide what those two pipes are. Dave Russo: The wall is still there. It's definitely original. Dave Russo: You can read the word NASSAU on the brick. Nassau brick was very popular on long island and used extensively in building of houses etc in Queens, Nassau , and Suffolk Counties. My house is built with Nassau brick, dates form 1953 (built by my Dad and Grand Father who were brick masons/contractors) so Nassau Brick was still in business as of that date. 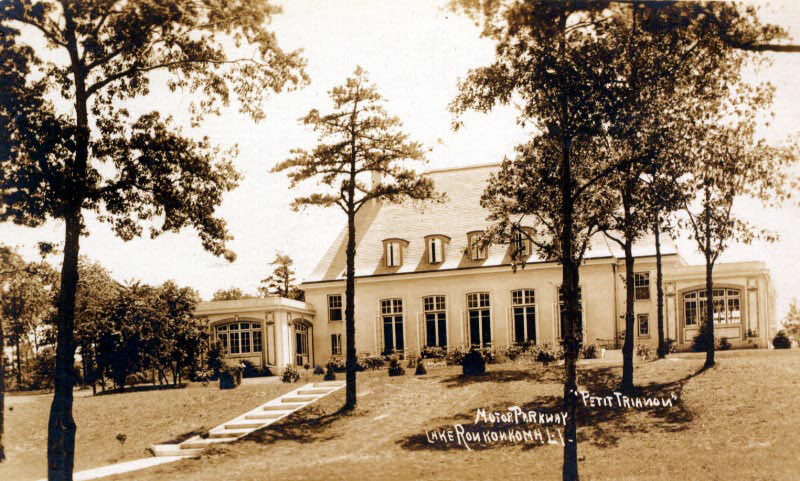 I’m glad you put up the picture of the Petit Trianon at the end. What year was it demolished?